Mezze Bar and Restaurant joins POS LTD.
Based in Holmfirth, West Yorkshire, Mezze presents a Mediterranean inspired menu of small individual dishes featuring tastes of Greece, Turkey, Italy, Cyprus and the Middle East. 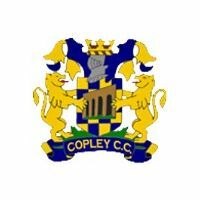 Copley Cricket Club is a member of the Halifax Cricket league and a growing community club. A rise in venue bookings meant introducing a modern touchscreen system was essential for streamling bar service and keeping track of stock.